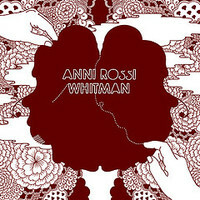 This is a rerelease of a RIDICULOUSLY limited (and long since sold-out) cd-r EP of a collaboration between Anni Rossi and Whitman. Strange, but endearing lo-fi weirdo tunes. This is a co-release with Folktale Records and we will both only have 250 copies. There will be 150 copies on Burgundy vinyl, and 350 on black vinyl. The first 150 orders get the burgundy. In hand-screened covers. Includes instant downloads.